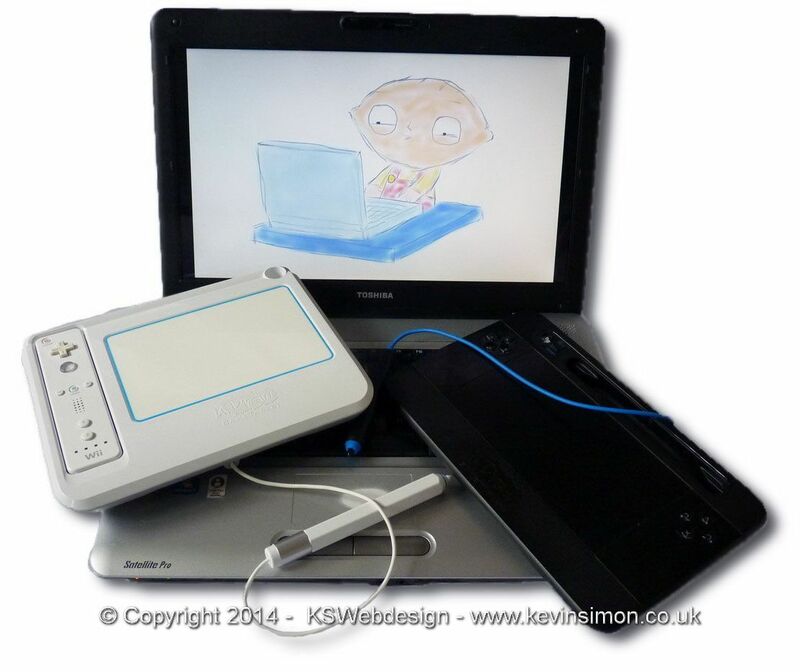 You can use any udraw for either Nintendo Wii, Xbox 360 or Sony playstation 3 on your PC as a basic graphics tablet. The best one to use is the ps3 version as the easiest to setup and requires no additional hardware. These are cheap at the moment buying new as all shops are selling the remaining stock cheap as the company that made the udraw THQ stopped production in early 2012 and went out of business in late 2012, I had already got the wii one, but brought the ps3 version from toys r us at only £6.99. I brought the ps3 version as my brother had told me they was good so thought would be worth a try. To setup the udraw tablet goto HERE, download the software, there are different version in case you have a problem with the latest version. For me the latest version was OK for my setup. Once downloaded unzip the files to a location on your hard drive, the main program is in the bin directory called udrawtablet.exe, I would recommend setting up a shortcut to this file on either desktop or start menu. Once you run the software, if you have connected for the ps3 version the USB dongle and switched on the Udraw tablet at the back and press the PlayStation button, you should see the device listed in the software, if not click redetect all devices, and now you are ready to go. I use Adobe sketchbook for my sketching on the PC, so loaded the up and was up and running straight away, though you can use this with any software, as using the pen light on the tablet acts as mouse movements and if you press down the pen for the nib button to be pressed this acts as left click on mouse. Though within the software you can configure any button on the Udraw table, this is useful as you can configure the buttons to do anything ie the up and down buttons to act as the mouse scroll wheel, so that in sketchbook would act as zoom etc. I also setup the wii version that I had sitting in the cupboard, this took slightly more configuring as you first have to pair you wiimote up to your pc, this is simple first you need bluetooth built in, or use a cheap usb bluetooth adaptor (I use a cheap one from one of the well known poundshops) in either windows 7 or 8, go to control panel, devices and printers, then add device at the same time press 1 & 2 on your wiimote, the will then show you wiimote, click the device if asked for pass code you don’t need one so just click next. You should then have your wiimote listed as a device. Once this is done you can use the Udraw tablet the same way as I have described about the ps3 version. Now using the Udraw as a graphic tablet works OK, though I did find that if you hold pen at more than a slight angle, it doesn’t fully register pen clicks, but you can play about with pen sensitivity, movement speed and precision in the driver software to get better results. The results I got were the same with the new ps3 version I brought and a year or so old wii version. Remember these drivers are not official and are made by someone that is doing this for free, so if this doesn’t fully work on your setup don’t complain as still cheap graphics tablet. I found buying the Udraw as a graphics tablet OK, but for the price of these new or even second hand and just to use on the pc is a great alternative to a dedicated graphics tablet which reasonable ones cost around the £50 so really a great saving. 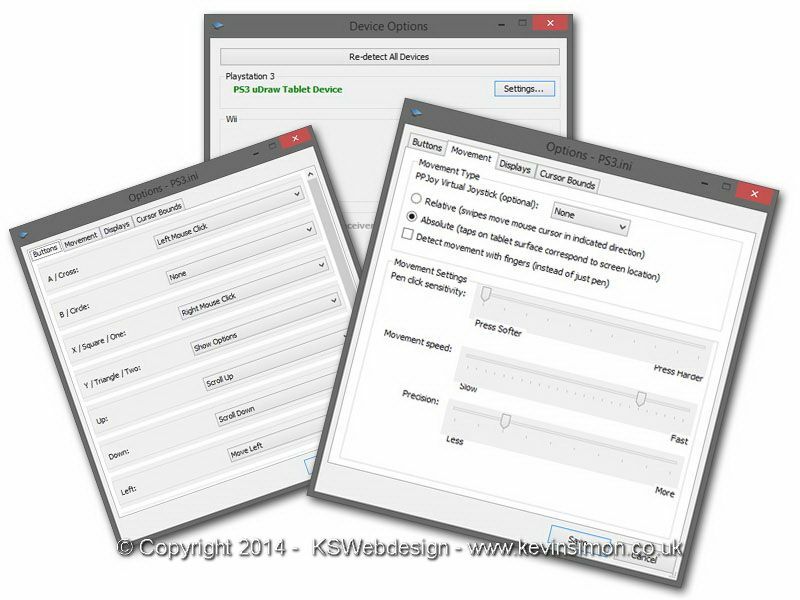 Also combined with being able to assign functions to any button makes these very versatile. So if you have already got a Udraw for a exiting console use that one, or just go and buy one just to use with your pc, kids would love it even using the basic paint software. I have used the PS3 Udraw tablet fine within windows 10, especially words great with the anniversary edition of windows 10, with the built in apps sketchpad and screen sketch. Since writing this you can still buy them but not from retailers, they are on the likes of amazon or ebay for about £8, which is still good value for a little graphics tablet and pen for your pc.